When a beam of light is made to shine on your hand, nothing much is felt, except for a little bit of heat produced by the beam. When the same light is made to shine into a nano or micro realm, the light turns out to be a robust manipulating tool that can be used to move objects around—securely trapped in the light. 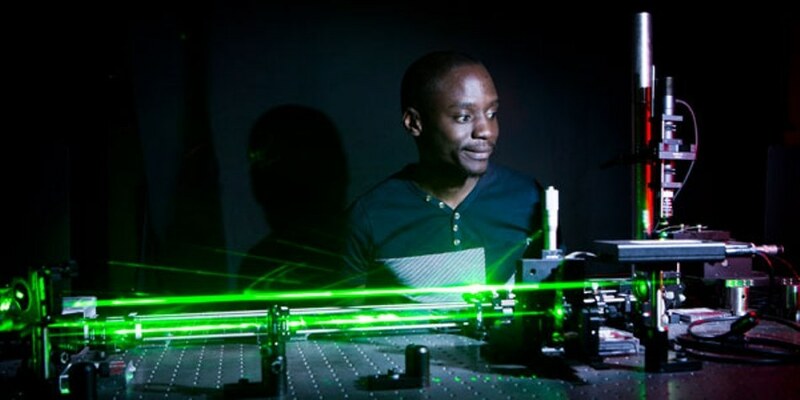 Scientists belonging to the Structured Light group from the School of Physics at the University of the Witwatersrand in Johannesburg, South Africa, have discovered a technique for using a laser light’s full beam to control and manipulate tiny objects like minute particles in small volume chemistry, single cells in a human body, or working on future on-chip devices. Although this particular technique, known as holographic optical trapping and tweezing, is not new, the Wits researchers have identified a technique to make optimal use of the full force of the light—including vector light that was hitherto unavailable for this application. This forms the first vector holographic trap. “Previously holographic traps were limited to particular classes of light (scalar light), so it is very exciting that we can reveal a holistic device that covers all classes of light, including replicating all previous trapping devices,” stated Professor Andrew Forbes, team leader of the collaboration and Distinguished Professor in the School of Physics where he heads up the Wits Structured Light Laboratory. What we have done is that we have demonstrated the first vector holographic optical trapping and tweezing system. The device allows micrometer sized particles, such as biological cells, to be captured and manipulated only with light. Andrew Forbes, Distinguished Professor, School of Physics, University of Witwatersrand. The final device could trap a number of particles at the same time and move them around just with vector states of light. The experiments for this research were carried out by Nkosi Bhebhe as part of his doctoral studies. The study has been reported in Nature’s online journal, Scientific Reports. In traditional optical trapping and tweezing systems, light is focused very tightly into a small volume consisting of small particles, like biological cells. At such a small scale (usually micro- or nanometers), the forces that can be exerted by the light are substantial, so particles can be trapped by the light and then manipulated. Upon moving the light, the particles will move with it. This concept won American scientist Arthur Ashkin the 2018 Nobel prize in Physics. In the beginning, the light was mechanically controlled with mirrors and stages; however, later, the concept was enhanced upon by moving the light around holographically, that is, with the help of computer-generated holograms to regulate the light without moving parts, thus controlling the particles. To date, it has been possible to use only special classes of laser beams, known as scalar beams, in such holographic traps. In their paper titled “A vector holographic optical trap,” the Wits researchers demonstrated the way to develop and control any pattern of light holographically, and subsequently applied this to form an innovative optical trapping and tweezing device. In particular the device could work with both the traditional laser beams (scalar beams) as well as more complex vector beams. Vector beams are highly topical and have found many applications, but no vector holographic trap was possible until now. The Wits researchers demonstrate the innovative trap by holographically regulating both scalar and vector beams in the same device, developing the state-of-the-art and launching a new device to the community. The researchers expect that the new device will be useful in controlled experiments in the micro and nano realms, including small-volume chemical reactions, single-cell studies in medicine and biology, fundamental physics, and for future on-chip devices. It has been shown earlier that it is feasible to develop hundreds of custom light patterns from one hologram, and this study combines their prior research on holographic control of light with the application of optical trapping and tweezing.